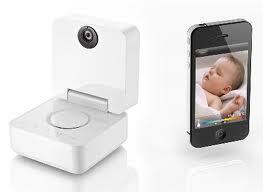 Being a techy with a new born it goes without saying that I would need a gadget riddled baby monitor for our baby. 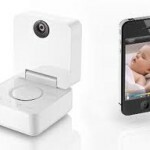 I set about comparing baby monitors to work out which had the best features for the money. We had a bunch of must have features and a few nice to have so that would be our selection criteria. Clearly the Withings product looks amazing and is feature packed, but it is £100 more than the other products so you would expect it to be something special. The killer for most of the video enabled products is that because they rely on the wifi to transmit the video they become difficult to move between houses, so a trip to the grandparents would require re-configuring them each time which is less than ideal. The Withings gets around this issue by being able to store 3 wifi networks and if all else fails it can work off of bluetooth. Looking at this comparison made me think you are paying a lot for video and I wonder how much it will actually get used, what does make sense though is using your phone as the device to receive the audio and video. I can imagine with the likes of the Tommy the receiver will always be in the wrong room, you are sat in the lounge and you left it in the bedroom, you get the picture, where as your phone is always next to you (if you are male at least). In conclusion if you are willing to pay over £200 you can have everything but if you are not you have to compromise quite considerably, the sensible thing to do would be to buy two a cheap Tommy like device that you can move between houses and buy a BabyPing or iBaby for use at home. Ultimately I know the decision is not mine but the wife’s so I will let you know what we (she) decides.